Washington (CNN) - Michael Strautmanis, chief of staff to President Barack Obama's senior adviser Valerie Jarrett, is leaving his White House post in the next month, according to a White House official. Strautmanis has accepted a job at the Walt Disney Company, where he'll focus on corporate citizenship and will be based in Los Angeles, the official said. 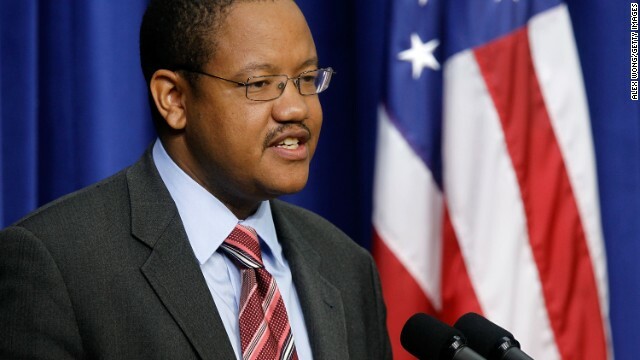 Yohannes Abraham, who was deputy national political director for the Obama 2012 campaign, will replace Strautmanis. (CNN) - First lady Michelle Obama will attend a funeral service on Saturday for Hadiya Pendleton, the Chicago 15-year-old gunned down last week in a park, a White House official said Thursday. An honor student and band majorette at Kings College Prep School, Pendleton was killed one week after performing in the festivities for President Barack Obama's inauguration. 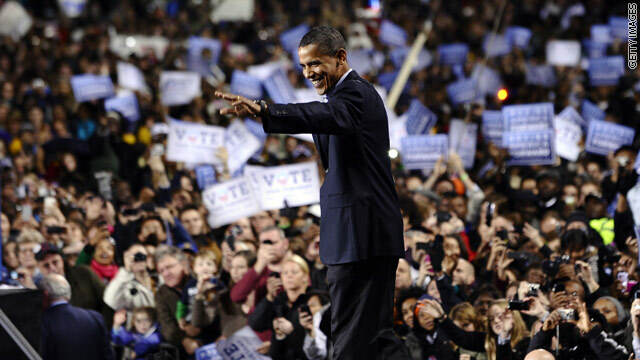 (CNN) – As President Barack Obama prepared to be sworn in on inauguration weekend, the White House continued to promise diversity as the president formulates his second term Cabinet. "His Cabinet when he's finished - and he's far from finished - will have diversity including women, including people of color," Obama senior adviser Valerie Jarrett told CNN's chief national correspondent John King and chief political analyst Gloria Borger from the White House shortly before Obama took the Oath of Office. New Orleans (CNN) - As the Supreme Court prepares to make a historic ruling on the fate of President Barack Obama's health care law, his top adviser shifted attention on the rest of the White House's legislative agenda rather than the potential dismantling of its signature piece of legislation. 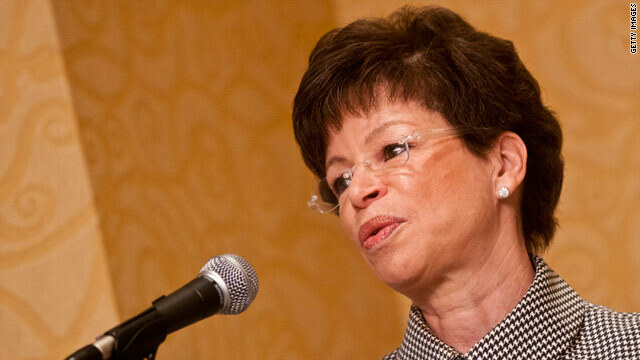 Valerie Jarrett, Obama's senior adviser and close family friend, told a group of black journalists Saturday that the administration is prepared for the court's decision – which could come as early as Monday – then went on to attack Republicans in Congress for what she called a strategy of "no." (CNN) - President Barack Obama enjoyed a short stroll Saturday in the Hyde Park neighborhood of Chicago after spending a rare night in his home there. 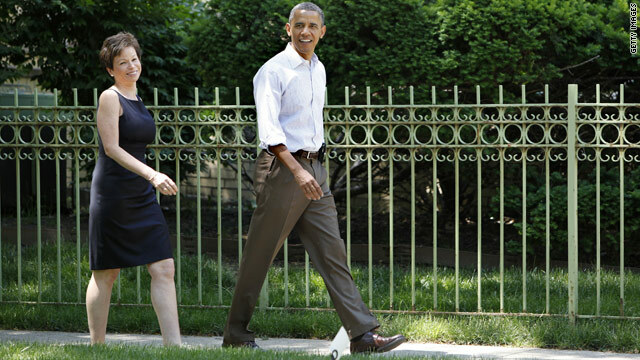 Senior adviser Valerie Jarrett joined Obama as they walked to the home of one of his friends, according to pool reporters traveling with the president. The two were closely tailed by a Secret Service agent, and police had closed off several blocks around the area. 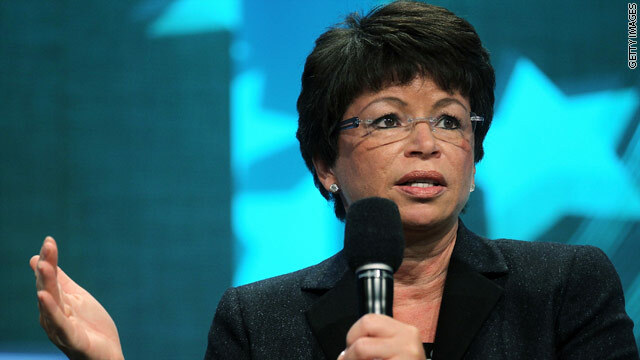 Washington (CNN) - Senior White House adviser Valerie Jarrett referred to calls for the president to release his academic records as "nonsense" Thursday. The suggested disclosure came Wednesday from real estate mogul Donald Trump after the so-called "birther" debate caused the president to release the long-form version of his birth certificate. (CNN) - Four-star Army Gen. Peter Chiarelli - the number two general in the U.S. army - says he is absolutely not offended that Obama adviser Valerie Jarrett mistook him for a waiter at a fancy Washington dinner this week and asked him for a glass of wine. It could have happened to anybody, Chiarelli tells CNN. Stormy weather ahead for Dems? Rahm Emanuel and Valerie Jarrett have been subpoenaed as witnesses in the federal corruption trial of former Illinois Gov. Rod Blagojevich. 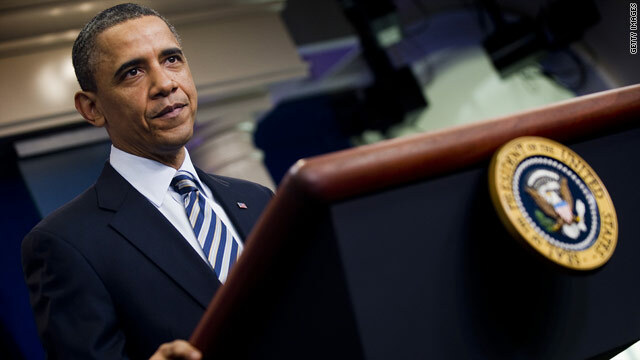 Chicago, Illinois (CNN) - Two senior members of President Barack Obama's administration have been subpoenaed as witnesses in the federal corruption trial of former Illinois Gov. Rod Blagojevich, which begins Thursday in a federal courtroom in Chicago, Illinois. 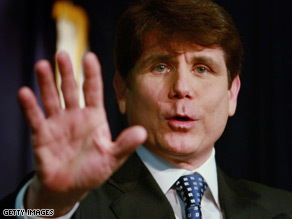 Blagojevich is charged with racketeering and fraud, among other charges. A senior administration official confirmed that White House Chief of Staff Rahm Emanuel and Senior Advisor Valerie Jarrett have been subpoenaed. Blagojevich, a two-term Democrat, was impeached and removed from office in January 2009 amid accusations that he had attempted to sell the U.S. Senate seat that had been occupied by Obama before he became president. The ousted governor is accused of telling his former chief of staff, John Harris, that he wanted "a good gig" in exchange for an appointment to Obama's seat, either in Washington or with a lucrative private foundation.